Vomiting in cats is fairly common and it could be caused by many different factors. If you’ve noticed that your cat is vomiting a lot, this could be an indicator of a number of health issues. It could also be a simple thing that goes away after a few days. Whatever the case, make sure you observe the cat carefully. What Can Cause Your Cat To Vomit? There are simpler and more complex reasons why cats vomit. Let’s start with simpler reasons. A cat could actually vomit simply because it’s eating faster than the usual. The food might also not agree with the cat’s system. Normally, these issues are not big enough to be concerning. Besides, the vomiting episodes will be over in a few days. But there are some cases where vomiting can be caused by more serious health issues (Vet Street). Some viral infections too may cause your cat to vomit. What Should You Do If Your Cat Starts To Vomit? Your next course of action once your cat starts to vomit will depend on a number of things. To start with, if the vomiting is an isolated incident that has occurred only once or twice, there is no need to worry about it. The problems start when the vomiting episodes last for more than two days. Chronic or ongoing vomiting is a clear suggestion of serious health problems. In most cases, chronic vomiting might be caused by pancreatitis, gastrointestinal ulceration, and gastritis among a host of other conditions (WebMD). Chronic vomiting has to be addressed by the veterinarian. It’s very important to have the cat treated as soon as possible. The rule of thumb is simple. If the cat vomits for three days in a row, you should send it to the vet on the fourth day. The question of why cats vomit can be answered by the guide above. However, vomiting does not happen in isolation. There could be other symptoms that may help you understand what’s wrong with your cat. First of all, check out for possible diarrhea and dehydration. In addition to this, check whether the cat is lethargic. Finally, ensure you check the vomit to see whether there is blood in it. 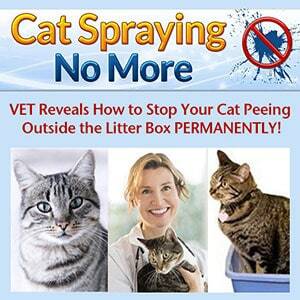 If the vomiting occurs and the symptoms above are also present, you need to get the cat to the vet as fast possible. Vomiting in cats is common but when it gets chronic, you must start to get worried. Diagnosis can be done and the issue treated if the cat sees a vet as soon as possible.